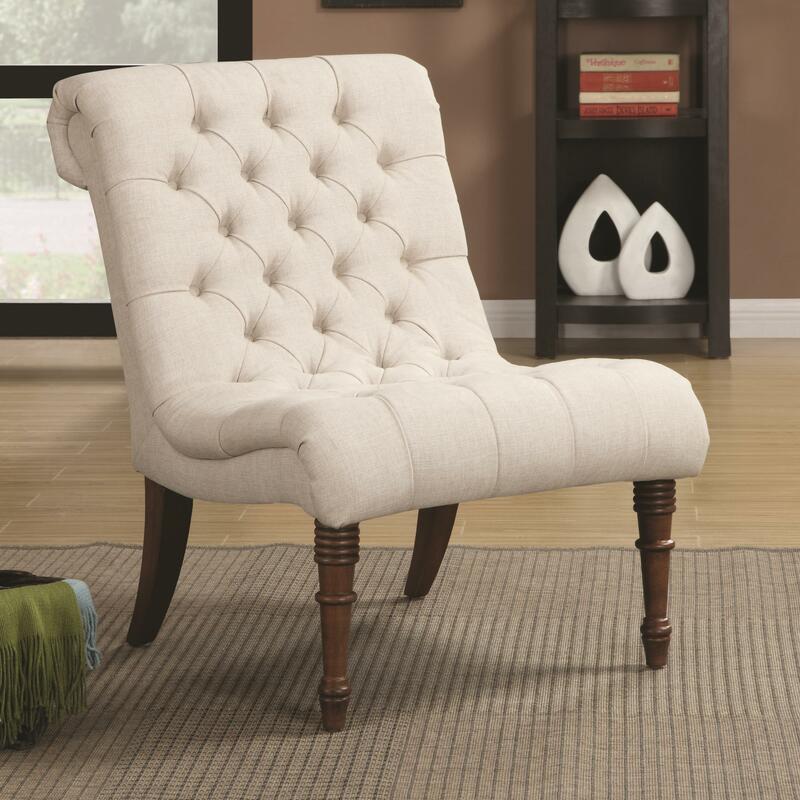 Relax in elegant style with this sophisticated accent chair. The curved back and stunning turned legs offer lasting support and durable stability. Tufted seating in a smooth oatmeal-colored linen-like fabric is plush and comfortable and provides a simple neutral look that fits into any home decor. The Accent Seating Curved Accent Chair by Rooms Collection Two at Rooms Furniture in the Houston, Sugar Land, Katy, Missouri City, Texas area. Product availability may vary. Contact us for the most current availability on this product.